Teachers don't forget that the Summer of eLearning opportunities are currently happening! We have had a strong showing so far and have more signed up to go to Richmond's already next week! If you are interested in joining in the fun and gaining some great resources to use in your classroom next fall, just contact me! 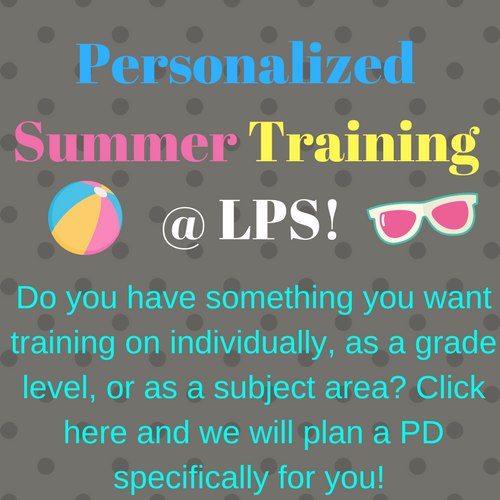 We are also offering personalized PD that is tailored just for you! We will work together to create things that you will walk away with ready to use day one of school! Contact me if you would like to get one set up!